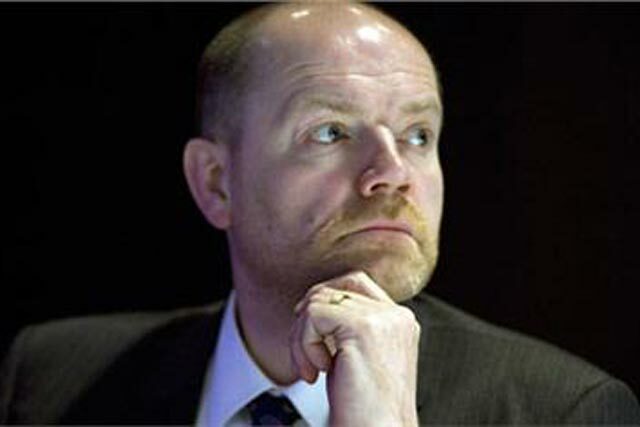 Mark Thompson, the BBC director-general, has stressed the corporation's commitment to the distribution of free-to-air content in the face of technological threats. Speaking at the Oxford Media Convention yesterday (19 January), Thompson put the spotlight on the BBC's role in distribution rather than content, touching on subjects such as net neutrality and YouView. Thompson said: "As the web becomes a vehicle for the transport of richer and richer content, the question of whether all content from all providers is treated equally by the networks becomes ever sharper. He conceded that the BBC, whose online catch-up viewing service iPlayer is generating an increasing amount of internet traffic, has "a responsibility to work with the ISPs to understand and minimise the stress we place on their networks". He said supporting net neutrality did not mean being against premium services that guarantee "the very highest quality experience of catch-up and other internet resources". He said: "But net neutrality does mean that, no matter how many fast lanes there are, the basic internet service standard lane, if you like should itself provide a very good, and consistently and fairly delivered, service." Just as in the case of over-the-air broadcasting, the objective should be that, once we've achieved universal broadband roll-out, every household – not just those who have elected to pay for premium services, nor just those who want to access content in which the network provider has an economic interest – should enjoy a quality service." Thompson also made a defence of the BBC's involvement in YouView, the embryonic internet-delivered television consortium, which has been opposed by pay-TV providers including Virgin Media and Sky. He cast public broadcasting partnerships such as YouView, along with the BBC's technological innovations, as key to the continued future of free-to-air broadcasting amid "the battle for the living room". He said: "Many of the participants in this battle will seek to control the user experience of TV and on demand audio-visual content as far as they can ... They will try to make sure that the public encounter all content inside EPGs and search and navigation environments which favour their brands and proprietary technologies. There will be little incentive for them to support or to share their technological advantages. "YouView will be different. There will be no choke-points in YouView. The user-experience and search and navigation environment will not unfairly exclude or favour some content players. "Sky, Virgin and all other mainstream players will be able to offer channels and content to the public via YouView and we'd be delighted if they take up that opportunity. "Like everyone else, on YouView, the UK's pay-TV operators will be able to choose whatever business model they want for any content or channels they offer. "The only things they won't be able to do is to determine the economics or the business model by which others gain access to the platform, or to gain differential proprietary advantage through ownership of the user experience."